Google Analytics Enhanced Ecommerce provides valuable insights for eCommerce businesses—but only when properly configured. We see a lot of mistakes with the way that eCommerce businesses have their tags configured. And if you want to make impactful, data-driven decisions, that matters. If your tags are configured properly, you could be missing out on a tremendous amount of valuable data. Or worse, you could be drawing the wrong conclusions from inaccurate data. In this article, we will look at some of the most common tagging errors we come across and simple solutions to fix them. When you sell products with multiple variants, it’s critical to make sure that you’re tracking the right SKU in the right place, because if you don’t, your data will be practically unusable. Since most sites list a product with variants only once on their category pages, it’s common to see these sites track products by the parent product’s SKU at the impression or click stage of the conversion funnel. That’s good! Unfortunately, when it comes time to view the detail page, add to cart, or complete the purchase, many sites will switch over to tracking the child SKU, since this reflects the specific version of the product being acted upon. While these sites are wise to collect variant-level data, if the child SKU is recorded via the same parameter used to record the parent SKU (typically the ID field), Google Analytics will lose its ability to tie the products together. That means you’ll end up with one set of products that appears to have gained significant impressions without ever being purchased, and a separate set of products with significant purchases that never gained impressions. If you want to take away meaningful insights from your data, a significant amount of manual effort will be required. To avoid this problem, we recommend that all products should use the ID parameter to track the Parent SKU throughout the checkout funnel. That means that the Parent SKU should be tagged as the ID on product impressions, product clicks, detail views, carts, removes, checkouts, and purchases. This way, you’ll be able to track a product’s entire journey through the funnel whether it has variants or not. Meanwhile, you can capture data about the product’s variants using the separate Variant parameter. We generally recommend that the variant parameter is used to record the Child SKU, but depending on the product and your needs, it may be sufficient to simply record a descriptive quality of the variant (such as the size or color). Additionally, if your products feature complex variant combinations, or if you want to be able to easily compare how certain traits (such as size or color) perform across products, you might consider setting up those traits as custom dimensions, and including these dimensions as separate parameters in your Enhanced Ecommerce tags. This will give you the most flexibility and the greatest depth of insight in your data analysis. Many eCommerce platforms use query parameters in their URLs to help communicate between the visitor’s browser and the server. For instance, pagination may involve adding a query parameter to the page’s URL to tell the server what products to show. These query parameters can make it difficult to see how products perform in certain product lists, such as categories or search results. For example, the above query parameter for page number could result in separate analytics for each page of a category rather than for the category as a whole. Fortunately, there is an easy solution to this problem that doesn’t require changing the way your eCommerce platform is configured. You can simply tell Google Analytics to ignore the query parameters and the data will be combined. For instance, the above query would consolidate all of the data for the electronics category and disregard the page query parameter. In Google Analytics, go to the View Settings section in the Admin panel, and in the Exclude URL Query Parameters field, enter all of the parameters you’ve identified, separated by commas. While Product List Performance reports are very helpful for optimizing the conversion funnel, if you’re not careful about how you set your Product List Names, your insights might not be worth much. A common mistake we see is sites using the same Product List Name across subcategories. For example, a clothing store may have a high-level category for “Men’s Pants” and fail to set up unique Product List Names for subcategories like “Jeans” and “Dress Pants”. If separate lists share the same list name, Google Analytics will combine their metrics, making it impossible to draw useful insights about either. We recommend using clear and identifiable naming conventions to avoid these issues. For instance, the above example should use Product List Names like “Men’s Pants – Jeans” and “Men’s Pants – Dress Pants” for the subcategories. You can then differentiate which products are the best performing in each product list, and how product performance compares between lists. Another common mistake is to use generic Product List Names in common sections. For example, the “Related Products” list on a product detail page may be named “Related Products” in every instance it appears. This makes it impossible to know which recommendations work best for each product, since all of the data will be combined. We recommend using naming conventions to solve these issues as well. For instance, consider using a naming convention like “[Product SKU] – Related Items” for each “Related Products” Product List. That way, you can easily identify which recommendations are working and which are not on any given product. 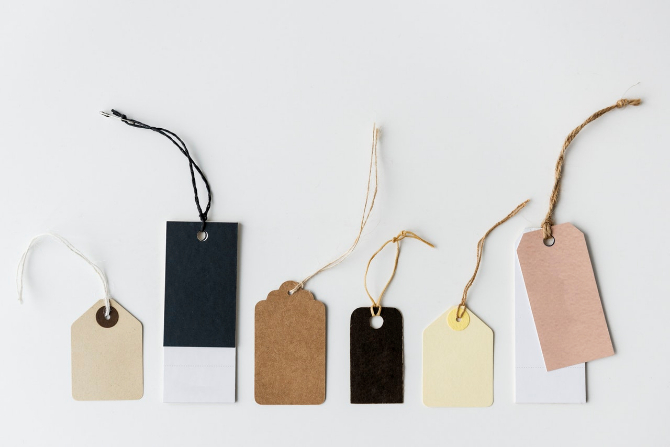 Once your tags are configured properly, they’ll provide a wealth of data that can make a significant impact on your bottom line. Unfortunately, many eCommerce businesses still struggle to put the data to good use. Data analysis usually requires a lot of legwork, especially for companies with extensive catalogs. Additionally, data is always changing, making an already burdensome job a repeated, ongoing process rather than a one-off change. Avatria Convert uses Enhanced Ecommerce data and machine learning algorithms to boost conversions by predicting the optimal product order for every page of your eCommerce site. With minimal implementation effort, we help you take full advantage of your Enhanced Ecommerce data to measurably improve your business. We have found that these optimizations can help boost conversion rates by up to 40 percent, per-session value by up to 56 percent, and revenue by up to 70 percent. Sign up for free to start using Avatria Convert today. eCommerce business owners must configure Google Analytics’ Enhanced Ecommerce properly to realize the benefits. Often times, improperly configured tags can lead to missing or inaccurate data that can make it difficult to identify ways to improve conversion rates over time. After you’ve properly configured your tags, you may want to consider solutions like Avatria Convert to automate the process of turning data insights into actual changes that can improve conversion rates, per-session value, and revenue. Download this guide to testing your GA Enhanced Ecommerce analytics to ensure you’re getting the right data.